It would have been too easy for BlastEcho to play Martin Barre songs off his latest album, Back to Steel, and we’re not about playing it safe on Rockers’ Block. Instead, we went back 46 years for one track–which the former Jethro Tull guitarist got fairly easily–though he had a bit of trouble with some others. Let’s see how he did! That’s the “The Meeting.” I might start playing that again. That reminds me to have a go at learning that one to play live. I just really like that riff. It’s a pressure to come up with riffs that are rhythmic, exciting and rock. I was quite happy with that one. Wow. (Long pause). You got me on that one. Oh right, ok. I know the… off the A album. I didn’t recognize that. I haven’t heard that for a long time. It’s got a great guitar riff that comes a bit later. I probably would have recognized that part of it. I don’t know the title but I’m pretty sure it’s off [1995’s] Roots to Branches. It’s on J-Tull Dot Com. Ok, let me have another guess then. I can play more if you’d like. I’m not gonna get it then. No, really? That’s outrageous. These are really difficult. Oh, I know that one very well. That’s “Nothing to Say” and I know that because I’ve been thinking about playing it live. I just love that song. I play in a local band with some friends and my friend who sings, that’s his favorite song so we always play that one. I actually know it and can sit down and play it. Musically it’s not quite right but it’s such a beautiful vocal line against the chords and I always thought it was sort of dangerous but works so well and I love things like that where you’re pushing the boundaries a little bit. Is it really? I like that song. That was a really good guess. A really good guess. I’ve impressed myself. I think I quite like it. I was quite pleased with it in a modest way. As modest as I can possibly be talking about myself. 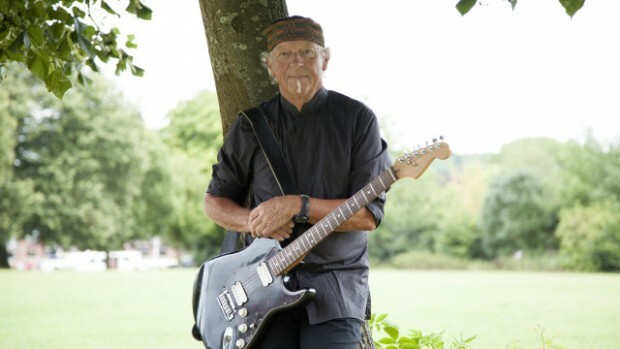 Martin Barre was the real thrill behind Jethro Tull. I love Anderson to bits but his one big failure was refusing to let the others flourish and lost a lot of great talent from that. I’m like most of the “old guard fans” and love the earlier stuff and couldn’t agree more about Nothing to Say … brilliant but difficult. 10 brilliant songs on that Benefit album and at least half of them can be labelled classics! Thank you Tull … every damned one of you! I have to agree with Paul Mac.I knew Ian’s latest shows were missing something.I only realised what it was when I saw the mighty Martin Barre gig in the Flower Pot in Derby.The guitar sound was a fundamental part of the Tull sound that is sadly missing in the Tull tribute band Ian Anderson is touring with.A drummer with arms made of wood does not have a lot of use either.